Place: el Pabellón II de la Feria de Muestras de Armilla. Reservations must be made by March 28, 2016. There are 450 places. Cost of registration is 4 euros per person, including entry to the fair, breakfast, gifts, and place to work. The fellowship meal cost is 16 euros. 18:00 Snack in the pavilion. 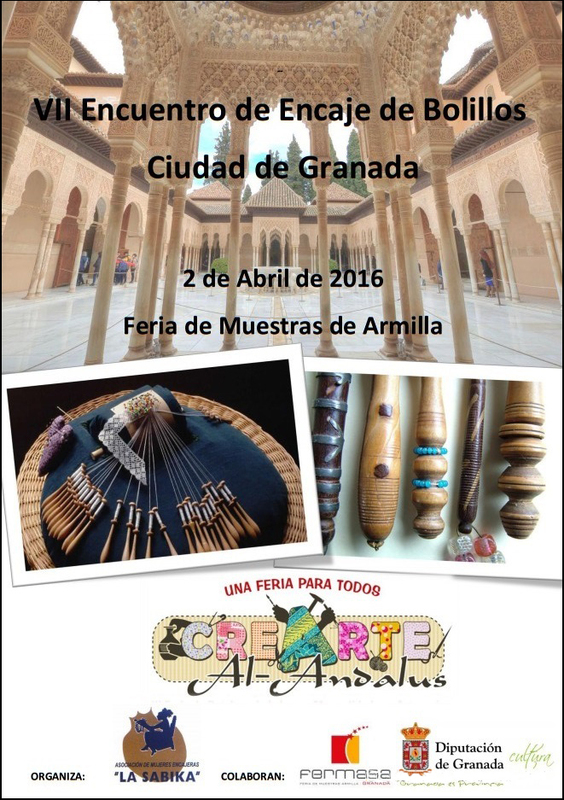 This is part of “Crearte Al;-Andalus”, the V Feria de Patchwork, Labores Manualidades y Artesanía, which runs April 1-3, 2016.